In the summer of 2012 Heavenly Sweets sent Lil’ Bit out on her maiden voyage. Lil’ Bit is small, cute, and full of special delicious goodies. 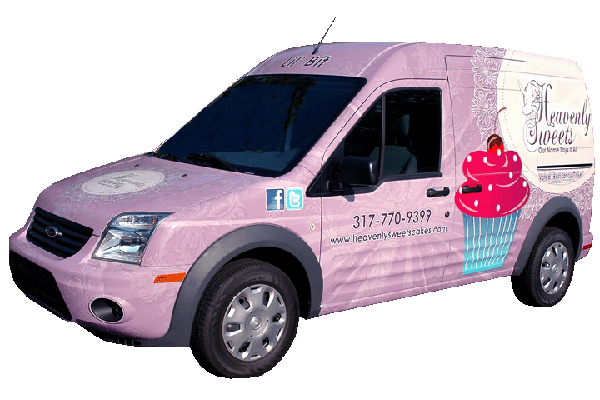 We travel to corporate businesses and public venues on an invitation only basis and offer employees and guests the chance to buy our delicious cupcakes right off the truck. There is no better way to come visit our clients and interact with the adoring public. You can schedule a cup cake pit stop by calling our shop and we will set up a date and time to come to you.